Answering the question of what makes a good leader is made infinitely more difficult by the fact that there is no one size fits all definition of leadership. For me, leadership is an act – a decision to take a stand, or step, in order to encourage, inspire or motivate other to move with you. What’s more, I believe that the most effective leaders do not rely on their title or the power of their position to lead. Rather, their ability to use their own personal power combined with their use of strategic influence are what make them effective. How did I arrive at my definition of leadership? I have been blessed with the opportunity to participate in numerous leadership seminars that have inspired me to examine the components of leadership and take the steps to put them into action. 4C for Children’s Developing Early Childhood Leaders (DECL) Seminar was created to address an unmet need in our region: in-depth professional development for the directors, board members and owners of early childhood programs and centers. 4C has been very successful in reaching staff in early education programs, but we know the overall quality of a program depends on more than an individual teacher. It depends on leadership at the top – a leader who can set a vision, establish benchmarks for quality and support staff in reaching them while also responding to the daily management demands and challenges of an early childhood setting. For years, 4C has focused on individual classes on management and leadership-and dreamed of providing a more intensive seminar for administrators with good management skills who want to take a next step in their career. DECL is offered January through November and includes 10 monthly six-hour, day long sessions. Sessions include presentations from local leaders from business, government, non-profits and the early childhood community along with facilitator-led discussions. Session topics include: philosophy of early childhood education, staff management and human resources, program evaluation, marketing and public relations, family engagement, strategic planning, financial management, collaboration and leadership and advocacy. The objectives of this seminar are simple and twofold: to develop the kind of early childhood leaders who can achieve and sustain the level of quality in early care and education programs that 4C is dedicated to ensuring for our community children and to develop the kind of leaders who are able to advocate for early childhood issues in the larger community so that every child has a positive experience and a foundation for success in school and in life. This seminar was designed for administrators who are already confident and skilled at the day to day management of their programs. The goal: to take yourself to the next level of leadership by changing your way of thinking strategically about a wide range of issues that impact an early care and education program. To date, three classes have graduated the DECL program with a fourth class in session currently. This extensive seminar has made an impact on over 75 administrators in the Cincinnati, Dayton and Northern Kentucky areas. 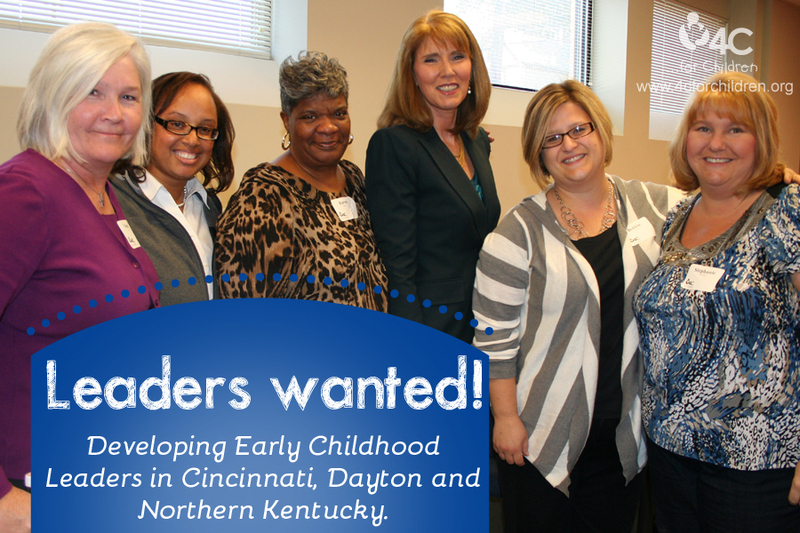 4C’s Developing Early Childhood Leaders Seminar is the only program of its kind in this region – or in the state of Ohio! Enroll now and make a difference in the lives of children and families and the work that you do every day. Learn more about the DECL Seminar. This entry was posted in Directors & Administrators, Early Childhood on August 5, 2013 by 4cforchildren.